I however, am a bit of a fat lover. I love me some wobbly bits. The crunchy top of the roasted lamb rack, confit anything, buttery toast, anything glisteny and oily gets me going. So that’s why bone marrow is one of my favorite foods. It’s like the velvetiest most consistent fat you’ve ever come across. 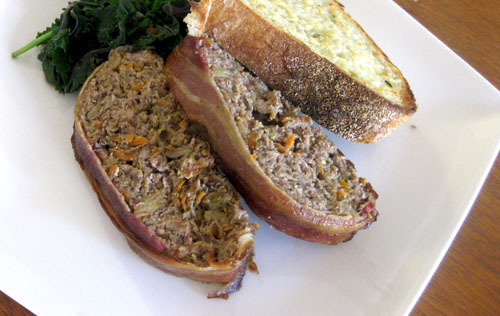 It’s just meaty & rich enough to feel like something apart from just plain old beef tallow. Incidentally, I share my love of veal marrow with Anthony Bourdain, who would choose this dish as his last meal on earth. I think I would too. 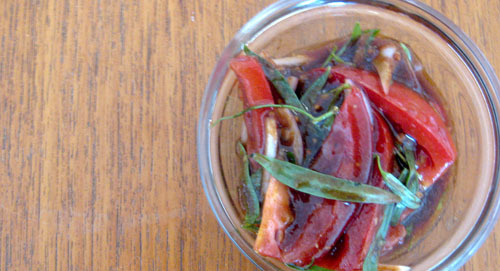 I serve it with a salsa that is salty, acidic and clean tasting. A lot of people like raw onion with this but I feel like it’s there to mask the flavor of the marrow rather than complement it. So this is rather easy. As in, so easy I shouldn’t be giving you a recipe. 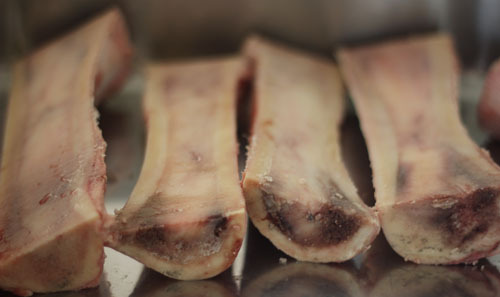 8 veal marrow bones, cut longwise. 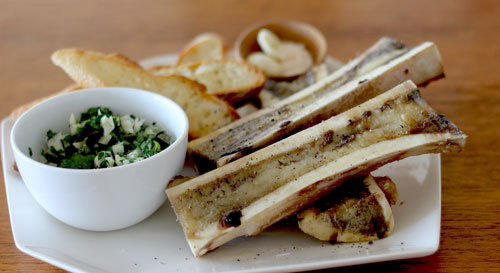 Place the bones, marrow side up, on a baking sheet. Heat the oven to 350 degrees F. Place the bones in, they’re only going to need to roast for 10 minutes so get to assembling the rest of the stuff. 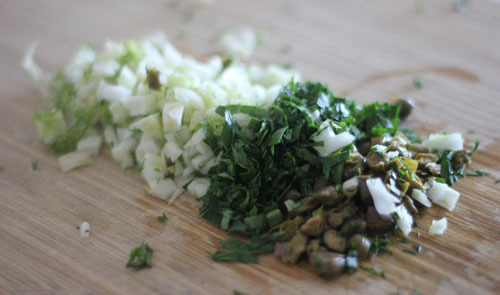 While the bones roast, chop the fennel, capers and parsley until they are quite fine. Combine with a splash of white wine vinegar and some of the caper juice. Taste, it should be quite tart. Slice the baguette on the bias. Take the bones out when the marrow starts going jiggly. Put the toast in under the grill until lightly toasted. Serve everything together with a teaspoon and a little dish of coarse, flaky sea salt. 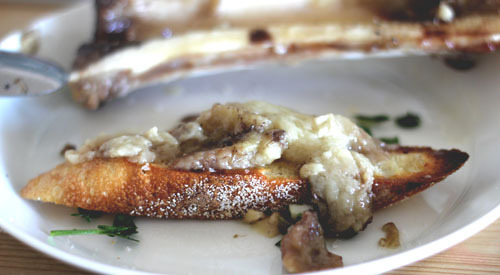 Scoop the marrow out and eat on the toast, with lots of napkins on hand. This is really simple, but it’s the only way I’ve been serving broccoli lately. It’s just broccoli so don’t be expecting any fancy hoo-ha. 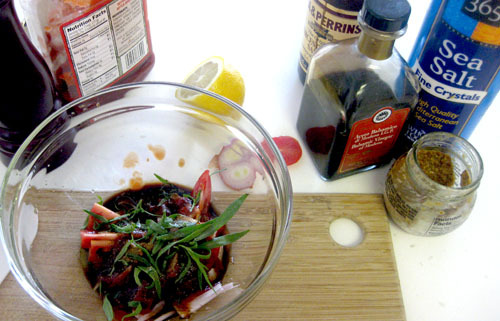 All credit for this recipe must go to a fantastic BBQ joint in Brooklyn called Fette Sau. It’s trendy in that nonchalant way, which is sometimes irritating. But what’s more irritating is that the food there is spectacular so I can’t be hating on it. 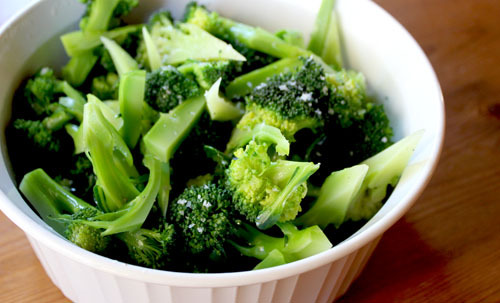 Not the least of the food is this awesome broccoli dish. It tempered the rich smoky meats and somehow ended up being the star of the meal. Typical, I go to a meat emporium and enjoy the broccoli the best. It is a great make-ahead dish and can be served warm but is best crisp and cold. Extra virgin olive oil – something with a bit of fruitiness. Blanch the broccoli in salted water until just not crisp and shock in iced water (this is important as you want to retain the crunch) Drain on paper towel to get the moisture off, or spin in a salad spinner, you want it as dry as possible. Squeeze over some lemon juice and slog in a bunch of olive oil. Season with salt, pepper and red pepper flakes to your preference – some is good, more is better. Serve cold. I saw this dish on an episode of Food Safari a really long time ago. Food Safari is an interesting program on the gem of an independent TV station in Australia called SBS. SBS has fantastic programming and Food Safari is among the best. This dish was presented by a Vietnamese chef – I remembered it and it’s stuck in my head for an age. It’s made for Lunar New Year, but I make it year round. I figure if I can’t pronounce the name then there isn’t much more offense to be given in bucking any other traditions it might be associated with. Also, for all the Vietnamese people reading this: I apologize for destroying your Mama’s food. And adding potatoes. 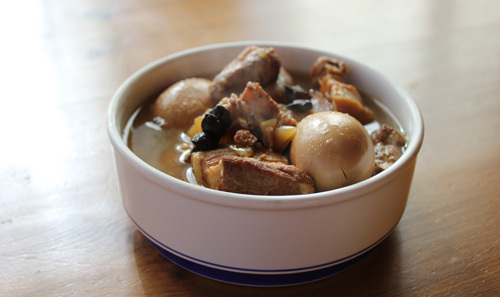 This is a dish where pork belly turns gooey and gelatinous and lip smacking. Very different from the crisp dry kind that most people are used to. So be warned. If you like, you can use pork shoulder, but belly is best. However, I’m a little leery of anyone who doesn’t like pork belly. Belly is best. 1 thumb sized piece of ginger. Slice the pork into 1 inch slices. 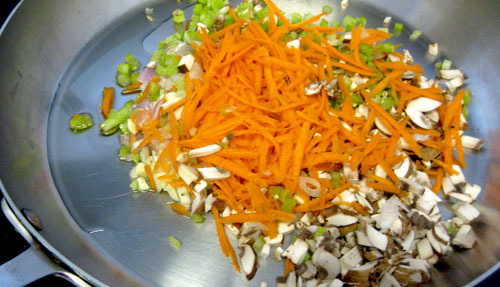 Slice all the veggies into 2 inch chunks, slice the onion thickly. Put the eggs on to boil in plenty of water. After 10 minutes or so, immediately drain and cool in cold water. The older the eggs, the easier they’ll be to peel. The albumen breaks down as the egg ages and that’s the stuff that sticks the shell to the white of the egg. So for future reference: poaching eggs need young albumens and hard boiling eggs need old wobbly albumens. So when you’re poaching, don’t be afraid to dig for the carton with the latest use by date in the supermarket fridge. Yeah, I’m that annoying lady and I’m proud of it. In a heavy casserole with a lid, sear the pork in some vegetable oil until golden – you really want colour here so don’t get impatient and stop when it goes that horrid shade of grey. Add the remaining ingredients (except the eggs), put the lid on and bring to a really gentle simmer, the water surface just needs to murmur softly. Once the eggs are cooled and peeled, add them to the mix. Taste and add more coconut water or soya sauce as your tastebuds dictate. Simmer for 3-4 hours or until the flavors are melded and the pork belly bits are wobbly gelatinous lip smacking hunks of yum. If you can’t hang around your stove for 4 hours (which is most of us I think) you can use a slow cooker. Just sear the pork in a heavy pan before popping it all in the slow cooker as per the recipe. It will only need about 6 hours, any longer than that and it starts to get that generic slow cooker taste rather than fragrant porkiness. I assembled this dish mostly in honour of the marathon beer-drinking season known as Oktoberfest. But also because sorrel is my current herb obsession, and I know that sorrel and mussels is an outstanding combination. Sorrel is lemony while maintaining a smoothness of flavour, it’s a really interesting and under-utilised herb. Adding to this, we have also had a surprising spate of late summer weather here, and wheat beer seemed an obvious choice for such comfortable weather. Oh San Francisco, when you serve it up, you serve it up good. I added some pumpernickel toasts to add to the German flair. Bread on the side is pretty de-rigeur; this broth begs to be sopped up by something with a bit of heft. Some rib-sticking bread – something in the Rye family is best. Wash your mussels and drain in a colander. De-beard if necessary, I use coarse steel wool for this. 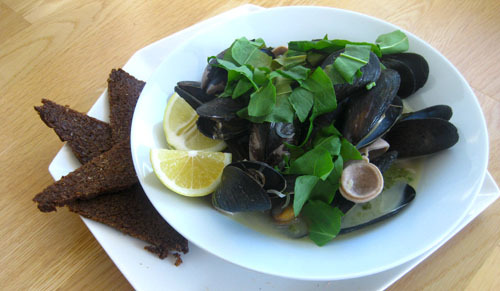 Chop the shallot, bratwurst and sorrel into chunky pieces, preferably smaller than the mussels themselves. In a deep pot (I used my ever-present 4qt saucier), gently sweat the chopped shallot and bratwurst until they just start to colour. 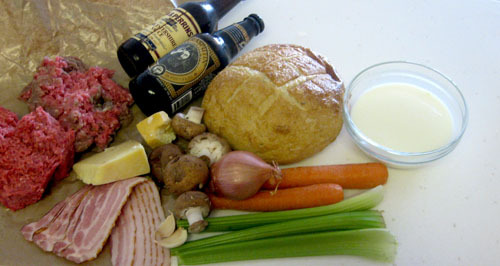 Deglaze with the stock and 1/2 the bottle of beer. Tumble in the mussels and half the sorrel, and squeeze in half a lemon and a pinch of salt. Lid the pot tightly and let it all cook for about 5-6 minutes. I like a firmish cooked mussel; not a trendy, flabby, raw-centred mussel so keep that baby steaming for a good while. In the meantime, make your toast and arrange your plate. De-lid the pot, remove from heat and discard any unopened mussels. 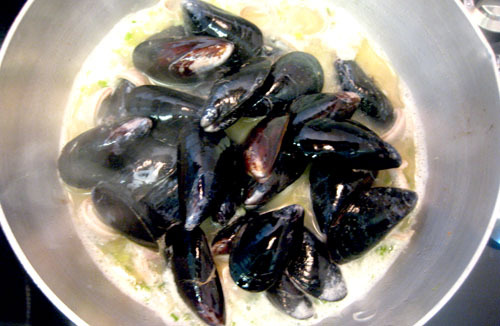 Tumble it in a big pile, and ladle the broth over the top so the open mussels catch bits of the flavourings. Serve with a lemon wedge and the rest of the sliced sorrel draped over the top. Sorrel loses it’s colour quite rapidly so make sure it’s the last thing you add to the dish before serving. Easing back in, I give you citrus and avocado tuna tartare, low-carby and delicious at the same time. I think this one is also paleo-friendly, for you folks who think that eating like a caveman makes you healthier. This dish is spicy and rich and tart. 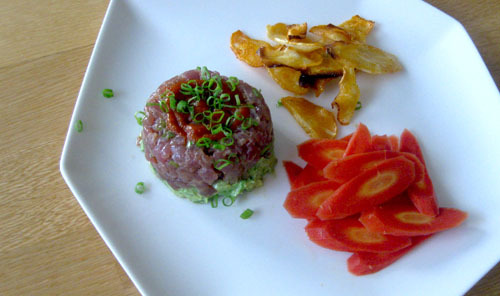 It’s a good dish to serve to those among us who are squeamy about raw fish as it has none of the fishy-ocean taste. It’s also no-cook (if you skip the parsnip) so it’s great for warm days. It stretches a small amount of tuna a very long way, so it’s a cheap way to enjoy this ever increasingly expensive fish. Oh this dish is a wonder indeed! It does everything. So you should make it. There is other stuff in the recipe too but it's just not as pretty as the fresh ingredients! 1 Real fresh tuna steak (approx 300-400g). Ask your fishmonger when the tuna came in. If it’s any earlier than yesterday, don’t buy it. You’re eating it raw, be choosy. If you’re doing parsnip chips, slice your parsnip thinly on the bias and toss in a drizzle of oil, a pinch of salt and the red pepper. 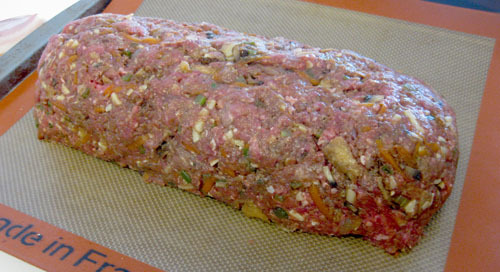 Lay out on a baking tray and put in a 340 degree oven while you prep the tartare. Peel and slice the carrots on the bias, squeeze over some lemon and add a tiny pinch of salt. Leave to marinate. You can substitute some little toast points or sliced toasted baguette if that’s your bag, but I do like the cleaner taste of the vegie chips here. Peel and chop the avocado roughly. 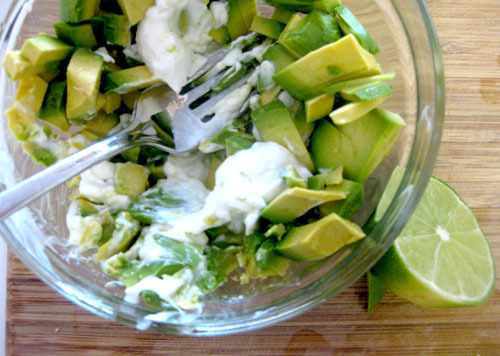 Put into a medium mixing bowl with a big squeeze of lime, a little pinch of salt and the yoghurt. Mash it together with a fork till it’s pasty but still a little chunky. 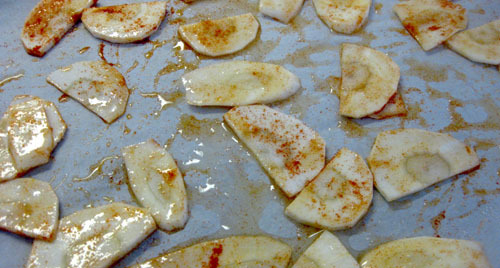 Taste and add more salt and acid as you see fit. It shouldn’t be too salty as it has to temper the tart saltiness of the tuna mix. Set aside. 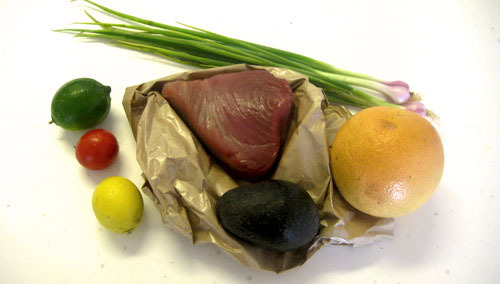 With a very sharp knife, dice the tuna into as tiny a dice as you can manage. Then gently chop it into finer pieces until it starts to hold together as one mass. Tumble it into a medium mixing bowl and squeeze in 1/4 of a grapefruits worth of juice, a tiny drizzle of sesame oil and a tiny splash of soya sauce. Grate in the white part of the shallot with a microplane (if you don’t have one you should get one, seriously) and then finely slice the green part and add to the bowl. Mix it all together, add some salt and then add more grapefruit, soy, and lemon until it tastes right. You got tastebuds, use em. It should be tart but the acid shouldn’t overpower the flavour of the lovely silky fish. Check your parnsip chips at this point, they should be starting to crisp, if they’re dark, take them out as they burn fast. Very lightly grease 4 mugs or ramekins with sesame oil. Press in about an inch worth of the tuna mixture and then about the same of avocado on top. At this point, please feel free to refrigerate for a couple of hours before serving. When you’re ready to serve, gently upturn the the ramekins and tap a bit until it demoulds and oozes out (sounds appetizing right? Gotta work on my adjectives a little there…). 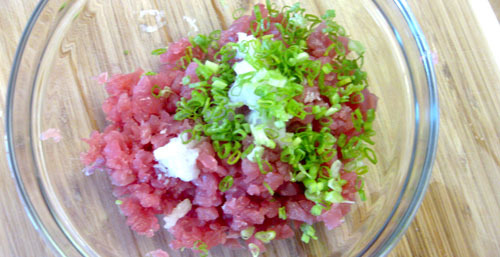 Thoroughly mix the tartare together before eating. It's more delicious that way! Serve on a big white plate with your dipping vehicle of choice. As of late, I’ve undertaken a bit of turn, diet-wise. I’ve turned into a “don’t eater”. Yeah I’m one of those people who advises you on your diet like a freaking expert. It pops out of my mouth and I realise that nobody cares about carbs and I feel bad for being a bossy jerk. If this has happened to you, I’m truly sorry. But you still need to stop eating pasta. While I am in pretty good shape for the first time in my life, all this has led to a sore case of the neglect-a-blogs. When one is on a diet, nothing you eat really seems interesting enough to extol to others. More vegetables? Woo. However, a trip to New York with some other foodie friends refreshed my desire to write about and artfully photograph what I eat, then pin it up on the Great Wall of the Internet, next to the LOLcats and bewbs and inane facebook updates. So keep checking back, I might actually have new content. 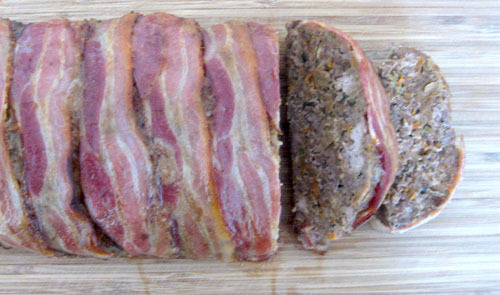 I don’t have much to add about this meatloaf that the title doesn’t convey – it sure ain’t yer Mom’s meatloaf. I think I’ve liked the ketchup more than the actual meat-thing in previous encounters with meatloaf, but this one was a few notches above any of those. In fact it popped a hefty flavour punch right to my tastebuds. It’s a very masculine dish, what with the beer and 3 kinds of meat. I have served this with my fancy Gordon Ramsay inspired ketchuppy salsa sauce. This perfect little sauce warranted it’s own post, so see the post directly before this one! This dish is best served with a giant pile of lightly cooked vegetables. Traditionally, people like their meatloaf with potato mash but I’ve always detested mashed potato and ketchup. If you need potato, I think french fries would be an awesome accompaniment. So make this to feed a crowd and impress the mannish palates among your friends. Sautee the vegies and garlic on high heat till they soften and brown. 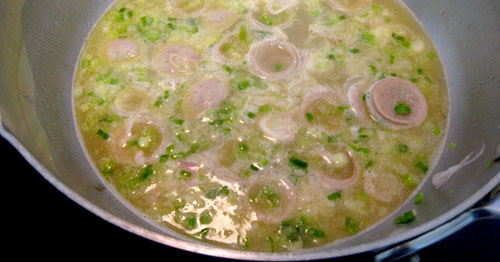 Reduce the beer by boiling rapidly in a high sided saucepan until down to a few tablespoons. Don’t use a fry pan like I did and have beer boil over everywhere. 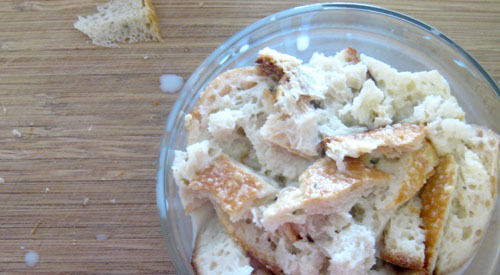 Soak the bread in the milk until nice and soft. Remove the milky bread, squeezing the excess milk off. Chop finely and put it in a very large bowl. Combine everything else (except the cheese) in with it and squeeze it all together with your hands until it’s combined. Season liberally. Add the cheese last thing. If you’re game, taste a little bit of the raw mix (one bite won’t poison you) for seasoning. 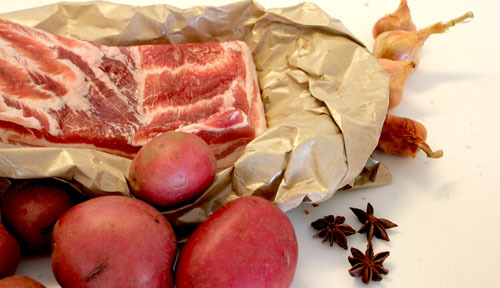 Add whatever you think is lacking, remembering the bacon will add a little bit of salt during cooking. 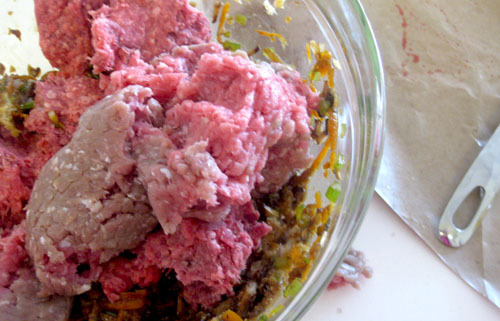 If you’re squeamish about raw meat, cook a teaspoonful of mix in a frypan and taste that. Or maybe a teaspoon of concrete, just to harden you up a bit. Once the mix tastes right, form a rectangular log by greasing a loaf pan and pressing the mixture in. Upend it onto a greased or silpatted roasting tray, neaten up into a nice tall log. 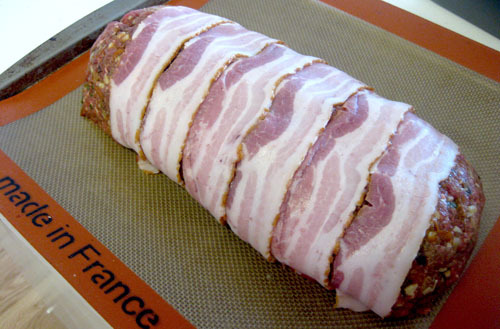 Wrap the bacon around it at a slight angle (looks prettier) and tuck the ends of the rashers in underneath. Bake at 375F (180C) for 45 or so minutes or until a knife inserted into the loaf for 5 seconds is too hot to touch to your hand. Put it under the broiler (griller) for 5 minutes to crisp the bacon. Take it out of the oven and let it cool for at least 10 minutes before slicing & serving. This one doesn’t even need ketchup, but a little bit doesn’t seem to hurt. I also like to serve steak with salad and I find that a warm gravy makes a horrid mush of any lettuce on the plate. So discovering this sauce was like discovering the perfect pair of jeans. It’s tight, simple, a little tart, versatile and classic. A fantastic summer grilled meat accompaniment. Kudos to my kitchen idol, Gordon Ramsay, for introducing me to this little pearler. I’ve given approximate amounts. Just keep tasting and adding small amounts of everything ’til it tastes right. Mix it all together. Taste. Add a bit more ketchup and possibly lemon juice (the likeliest additions) and leave to macerate for at least 1/2 hour before serving. Serve with any grilled meat, particularly of the red persuasion. Having never tasted morels I wanted to prepare them simply. They have little honeycomb ridges on them, like a vegan version of tripe. I figure that those little ridges would be the perfect carrier for breading, so the fried version sounded logical. 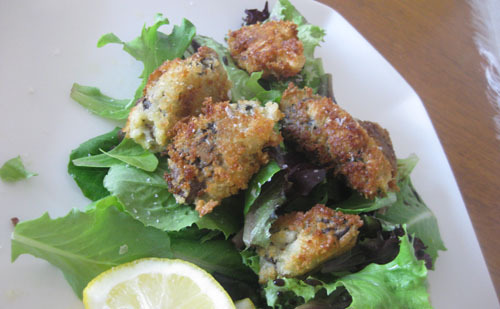 They turned out to be crisp and battery on the outside; and spongy and earthy on the inside. Meatier than chanterelles but a whole lot subtler than a truffle. With a small hit of sweet balsamic, they were quite perfect for a weekend lunch. I’ll be eating morels again next season. Prepare your breading station by fork whisking the eggs and the milk in a small bowl and season liberally with salt and pepper. Dip the morels into the egg and then roll in the breadcrumbs. Repeat till they are all breaded. Prepare your plate with the lettuce, dress it with a bit of oil and balsamic. Heat about a centimetre of oil in the bottom of a pan, wait until it starts to thin a bit and then drop the morels in. Flip them and cook the other side. I find three flips tends to brown all surfaces nicely. I also think a set of long chopsticks is the best tool for this job. When they are nicely golden, lay them on the prepared plate, drizzle with a touch of balsamic and eat immediately. Ok, this dish is my new obsession. If this is what all food is like in Hawaii then put me on a plane and whack a lei over my head cause I am sold. From my limited understanding of things, Musubi is out-of-hand food in Hawaii. 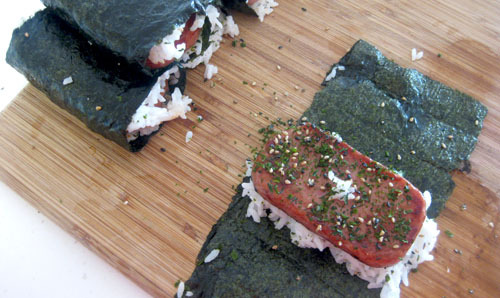 Put simply, it’s rectangular spam nori maki (sushi roll). It’s the perfect melding of the Hawaiian obsession with spam and the deep vein of Japanese culture that’s present on the islands. I know that you think it sounds gross, but it’s seriously delicious. I ate 3 of them sold from coolers by Japanese/Hawaiian vendors at the cherry blossom festival a few weeks ago and now I’m hooked. This is bake sale convenience food, the Hawaiian equivalent of a tamale. Now I can feel you all re-running Monty Python sketches about spam in your heads. 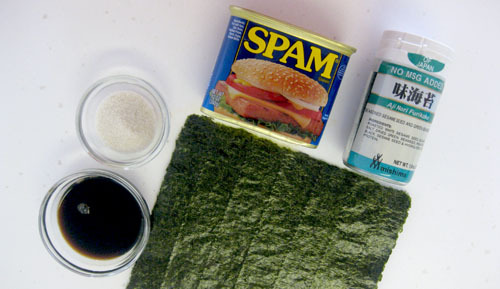 Don’t be hating on the spam; it’s salty and savoury and perfect with the nori and rice. It’s perfectly good food. I always wondered why we are ok with canned fish, but canned pork products are a squeamish no-no. So get over it and make some damn Spam sushi. 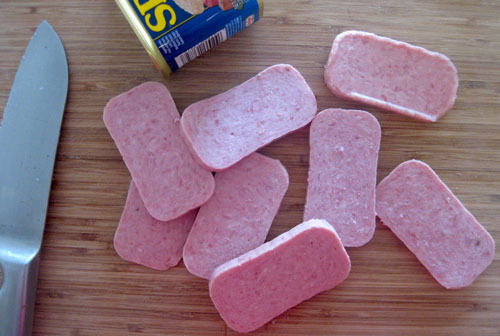 1 can of spam, sliced into 1cm thick rectangles. Cook the rice and keep warm in a rice cooker. You really need warm, dry rice for this and I find nothing works quite as well as a rice cooker. 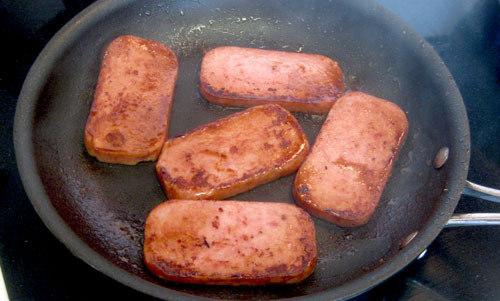 Slice the spam and fry it in a non-stick frypan till golden. 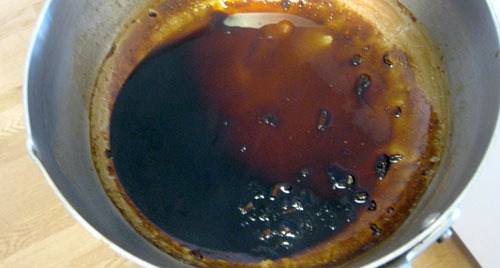 Stir the brown sugar into the soya sauce. Add the soy sauce mixture to the pan and continue to cook until the spam is caramelised. Set up a small bowl of warm water, clean your workspace, and begin to assemble. Lay the nori rectangle longwise in front of you. 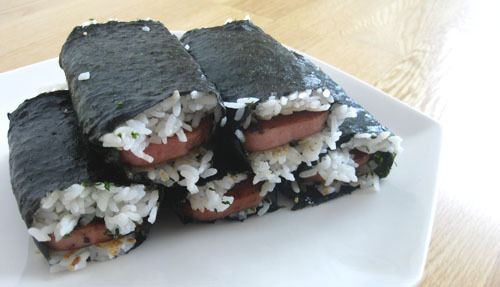 Place a gob of rice on the nori and shape it with damp hands into a spam sized rectangle. Make it about 1cm thick and about 2 cm up from the end. Sprinkle with furikake and then lay the warm golden spam on the top. Sprinkle a little more furikake and then top with another recntagle of rice. now gently roll the whole thing together, trying to maintain a perfect rectangular prism shape. Those who make musubi often actually own special rectangular moulds for this but I don’t have space for such gadgetry in my kitchen, and besides, architecturally perfect food sets my teeth on edge. 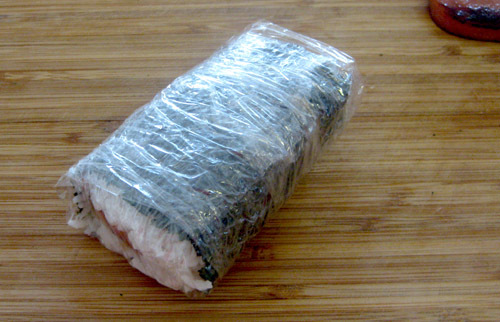 If not eating immediately, wrap each musubi tightly and neatly in clingfilm and keep warm, serving at or just above room temp. They don’t keep like this for more than 2 hours (the bacterias love room temperature rice and meat) but they will keep in the fridge and reheat rather well in the microwave. Be aware that reheated nori can smell pretty unappealing. 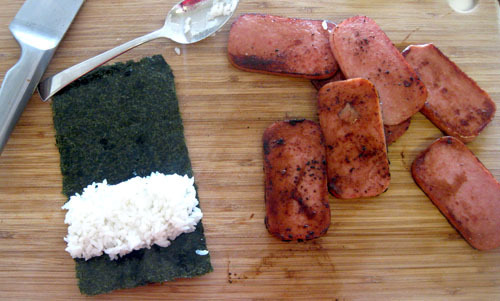 However, nothing beats fresh musubi, so make them as close to the time of eating as possible, kinda like a rice sandwich. Make these for a picnic, a car trip, anything that requires food but rules out the usage of tables, cutlery, plates or any of the other trappings we so commonly employ to shove food into our gobs.